There is no better place to study than at HERC. Whether you are starting out in nursing or midwifery or are a seasoned healthcare professional, our study options are designed to fast track your career. HERC offers continuing professional development and advanced diploma courses for established professionals, as well as foundation skills for early school leavers and initial vocational training. HERC has it all. 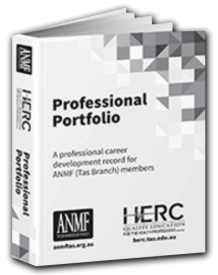 HERC is a Skills Tasmania endorsed Registered Training Organisation (RTO) and selected courses receive Government funding. Contact one of our Education Professionals to find our about the eligibility criteria. HERC’s range of courses span nursing, midwifery, aged care and community services. Our programs are nationally recognised and delivered by registered nurses and other professionals with an extensive range of relevant knowledge and industry experience. At HERC you will receive the best healthcare education possible. Why not get started today? Professional Development is one-way nurses and midwives are able to maintain knowledge, skills and attitudes necessary for the provision of safe and competent nursing care. It is the responsibility of each nurse and midwife to ensure they are able to comply with their relevant professional standards and competency, which is difficult given the ever changing context in which they work. From foundation skills for early school leavers and initial vocational training, right through to continuing professional development, and advanced diplomas, HERC has it all. And because HERC is a Skills Tasmania Endorsed Registered Training Organisation (RTO), selected courses are funded through the Tasmanian Government. For further information contact one of our Education Professionals to find our about the eligibility criteria. For corporate clients, HERC offers the practicality of on-site workforce development; we come to you to provide an education plan specifically tailored to your staff and needs. HERC’s full range of courses, spanning nursing, midwifery, aged care and community services, are nationally recognised and delivered by registered nurses and other professionals with an extensive range of relevant knowledge and industry experience. Our state of the art training centre features great facilities and the latest technology including simulation maniquins, and an environment that simulates a health care environment. Comfortable, light-filled classrooms, computer access, online resources, WiFi and a library dedicated to everything healthcare; it is all here to ensure that you get the most from your studies. At HERC you will receive the best healthcare education possible. So why not get started today? The ANMF currently offers nurses and midwives 3 separate professional development training rooms to assist you to meet your Professional Development (CPD) requirements for continued registration each year. We also offer you best practice information on a number of topics of interest as well as specialised areas of practice. The ANMF regularly adds new training modules to each of its training rooms with the new topics being derived directly from the requests of nurses and midwives. To access the training rooms or read further information, click on the button or the link for each training room. Maintain an online record of your CPD achievements. This service is provided by ANMF Federal Branch. INN is open to all authorised Immunisation Nurses across Tasmania. INN derives from the former Immunisation Nurse Special Interest Group (INSIG), which was formed in 2008. Purchase our new Professional Portfolio online and get your CPD organised!